Oh Melbourne town, you certainly know how to tease with weather like today’s masterpiece. The sun is out, the clouds are but shadows and the wind is no more than a gentle sneeze. We love you Melbourne!!! So its the first day of Spring. The sun is out but it’s going to be a little piccardilly tonight so lets balance it out shall we. 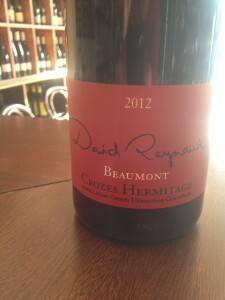 The David Reynaud Beaumont Crozes-Hermitage 2012 Syrah is that perfect balance. And it’s got precious little Sulfur so you won’t have to worry about those Sulfur headaches, but can not guarantee that you won’t get a headache after the 4th bottle though. So, what does #TuesdayTastesLike then? In the glass the wine looks quite dirty in the glass but that’s just because it’s unfined and unfiltered. 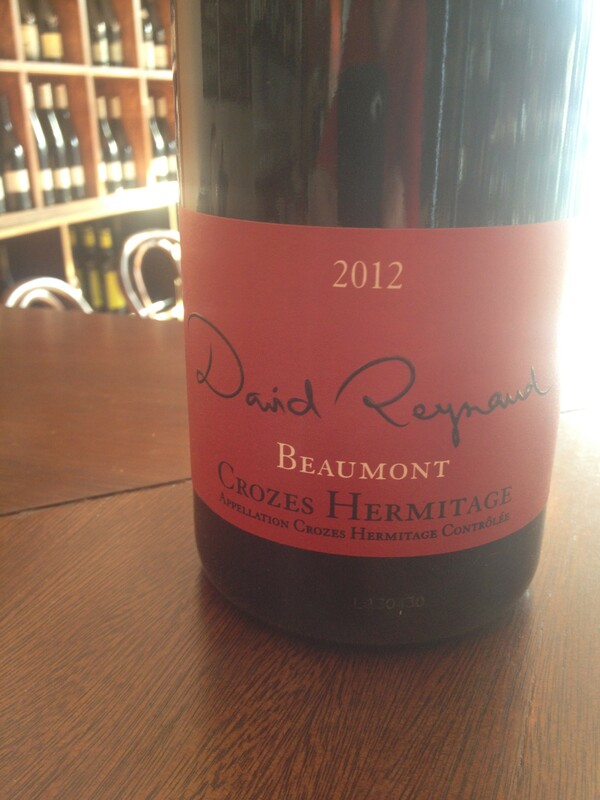 The nose is all savoury notes of earth, spice and wonderful and very pronounced black olive. Yes. Black Olive. And its delish!!! With the end of Daylight savings almost here, the days will start to get shorter and darker and cooler. Winter is upon us and with this juicy reds are always welcome in a glass nearby. 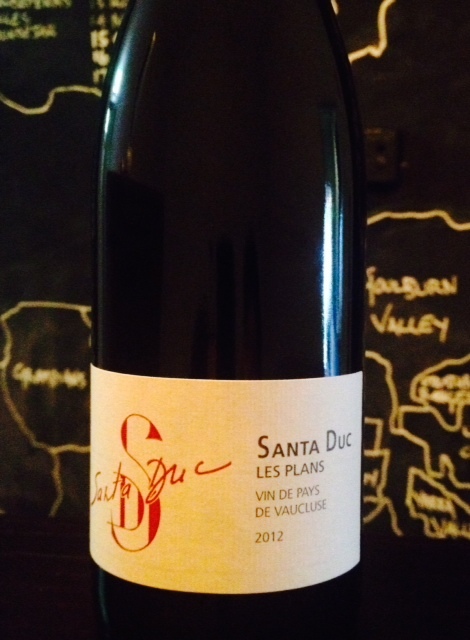 The Domaine Santa Duc Les Plans 2012 from Gigondas in the Rhône Valley is full of juicy goodness, primarily thanks to 50% Grenache and 25% Syrah which gives the wine a plump and rich texture without coming across as jammy and stewy. It’s like a warm hug in your glass. It’s just ACE. Winter is here. let’s embrace it head-on with a bottle of this gorgeous gear. Very rare do things stay the same. We change our hair style. We become a vegetarian. We decide to eat meat… again. Did you know that as we get older our flavour receptors (taste buds) change? But don’t fear, age-related sensory change is not known to limit wine tasting ability but actually fine tune the ability to taste certain flavours. Science is ace. I reckon it was about 5 years ago that a flavour jumped out from the glass and whacked me in the chops!!! I was stunned. Was I really tasting that? The that was black olive, or more to the point, olive tapenade. This pops up in a lot of cool climate Syrah’s (Shiraz) and some Pinot Noir’s. For me anyway. Now the wine that does it the most and a wine that is frequently found in my recycle bin is the François Villard ‘L’appel des Sereines’ Syrah 2011. Coming from fruit primarily from Cornas in the Northern Rhône, this wine is tart and raspy, but no so raspy that it is just a boring dry red wine. Oh no indeed. Like I said before; olives, black olive tapenade. It’s swimming in the stuff I tell ya!!! The nose has quick lifts of blackberry and earth which slowly gives way to the black olive goodness. The palate is an instant hit of tart blackberry and black olive which builds and builds and builds. Stop reading this and just get it!! !